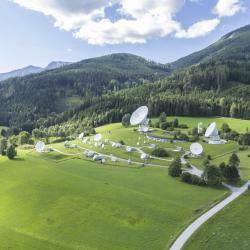 Exactly 35 years ago, Austria's first and so far only earth station, the A1 Teleport Aflenz in Styria, was put into operation. With an initial investment of approximately EUR 44 million, this satellite ground station was built in just 17 months. Since then, it has been constantly modernized thanks to new investments to keep in line with the latest developments in the area of information technology. Over the course of the years, the technical equipment has been replaced with digital systems and additional antennas have been installed. 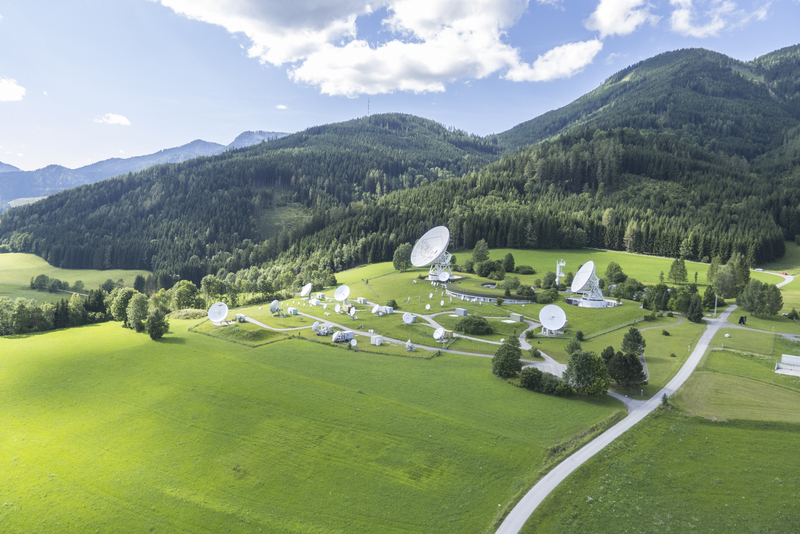 Aflenz is regarded as one of Europe's largest and most modern satellite relay stations and is an integral part of the Telekom Austria Group's international terrestrial backbone network with a total of 200 PoPs in 47 countries of the world. Based on its longstanding experience in the area of satellite communication and a complete portfolio of satellite-based services in more than 70 countries, the Telekom Austria Group is regarded as one of Europe's leading satellite service providers. "Only a few operators across the globe have the knowledge and extensive experience to provide inexpensive and reliable worldwide communications via satellite. Our uplink station in the Alps guarantees the best quality and security for both our national and international customers", says Stefan Amon, Director Wholesale, Telekom Austria Group, about the anniversary. The earth station Aflenz encompasses more than 50 antennas. The largest antenna weighs 275 tons and has a diameter of 32 m, which is the equivalent of eight car lengths. Each antenna is connected to a satellite, which is responsible for transferring data to a specific region of the globe. All antennas send their data at the speed of light to satellites located 36,000 km away, with data racing across the universe at a speed of 300,000 km/sec. This allows for the transmission of huge multimedia data volumes across the globe within fractions of a second – amongst others for a large Austrian customer, the PCB manufacturer AT&S, which needs to communicate with its business sites in China and India. The Teleport Aflenz also enables the live broadcasting of Austria's world-renowned events such as the Vienna New Year's Concert, the Life Ball and the Vienna Opera Ball to viewers across the globe. A photovoltaic park, which was built in 2013, generates the electric power for the satellite station Aflenz. This photovoltaic open-field plant covers an area of 4,800 m² and encompasses a total of 790 photovoltaic modules. The park produces 190,000 kWh per year and the supplied energy is directly fed into the earth station Aflenz. Thanks to the use of solar energy, A1 has been able to reduce CO2 emissions by 90.000 kg per year. The building, which was designed by the internationally renowned Vienna architect Gustav Peichl, is almost invisibly integrated into the landscape and provides space for state-of-the-art high-tech equipment for ultrafast data transmission over an area of 6,500 m2. It is regarded as one of Austria's most successful architectonical achievements and has received several architectural awards.